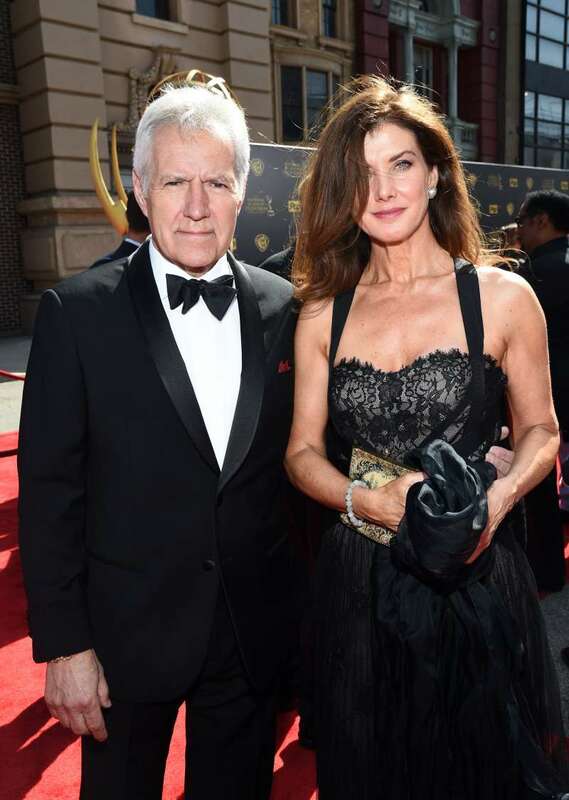 Alex Trebek and his beautiful wife, Jean Currivan, have been happily married for almost 30 years. Despite the huge gap of 24 years in their age, their love has prevailed all challenges. Now, the loving husband is recollecting delightful memories of their youthful days. Jean is an Ontario native and a successful New York real estate manager. She had previously revealed that from the beginning there was something 'youthful' about Alex, drawing her to him. He was the kind of fellow having a deep sensitivity with a gruff exterior. The pair has two children together; Mathew, 29 and Emily, 26. After his stage 4 cancer diagnosis, she is remaining to be his most sturdy support. On Saturday, April 13, the Jeopardy! host attended the Wuthering Heights panel during TCM Classic Film Festival. There, he talked about the classic 1939 movie. He admitted there's been a lot on his plate right now so he couldn't prepare to give an introduction for the film. However, he did reminisce about a romantic trip he shared with his wife. While we were there waiting for the rain to stop, we carved our names in the stone and just like Heathcliff and Cath we enjoyed ourselves there. Trebek credits his success, career, and happiness to his lovely wife and family. His love runs deep! Earlier, he started a poll for the people to tell him whether he should get his mustache shaven or not. Hilariously, Jean was the one to had the final say on the matter. It's incredible to see these lovebirds going strong for so many years. Now, they have memories to live by and create some more too. Share this and send love to the beautiful couple.